"Fascinating...serves as an artifact of a bygone craft, with handwritten notes and long passages crossed out, giving readers a sense of an author’s process." “A Farewell to Arms” stands, more than 80 years after its first appearance, as a towering ornament of American literature." "This special edition of [Hemingway's] classic World War I novel, first published in 1929, contains several features that illuminate how Hemingway constructed his timeless tale of love and war." 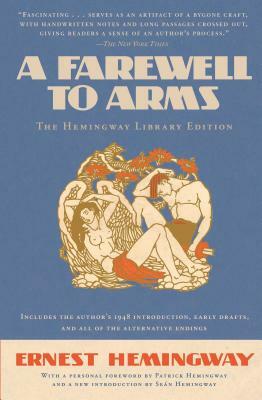 "A Farewell to Arms is a gem....To see Hemingway go from bold pronouncements and overwriting to his signature stripped-down style isn't just instructive, it's practically intrusive (but fun!)"